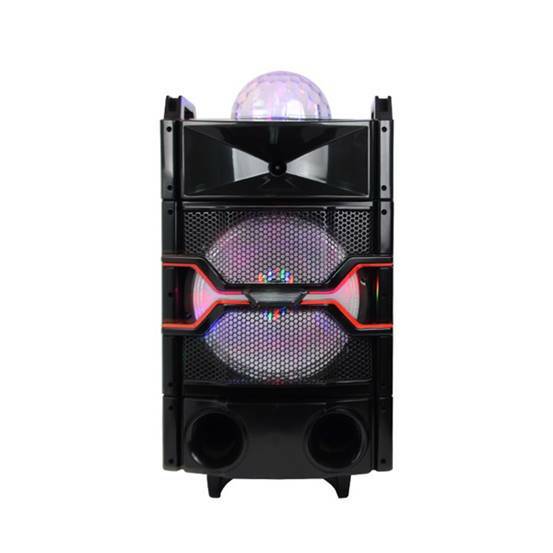 This is a manual portable mini speaker with flashing DJ lights. The Trolley Speaker with Light has a built-in rechargeable battery, and FM radio. The portable speaker is an awesome multimedia entertainment system. It combines audio, video and high power output to get the party going. 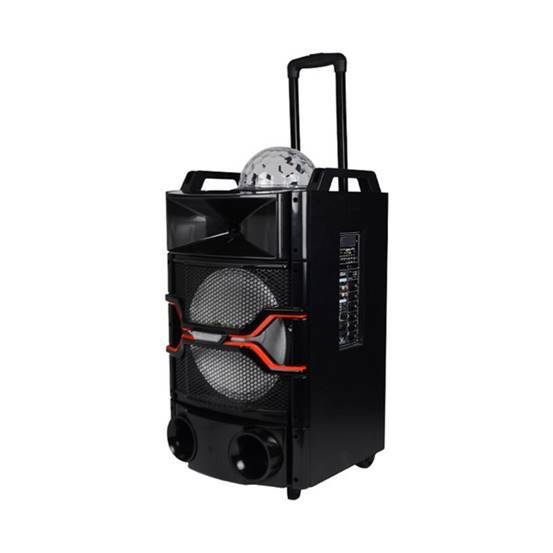 This Trolley Speaker with Light is fully versatile with audio devices such as MP3 and DVD. 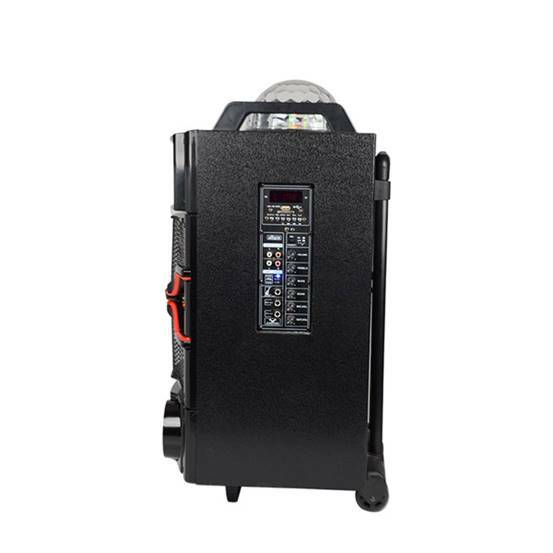 This portable speaker has an output power of 120 watts, supports AUX / FM, and it is compatible with USB and SD cards for direct playback, and supports Bluetooth connectivity. It has good advanced acoustic performance. Full range speakers provide rich dynamic response. A full-featured remote control with a microphone allows you to enjoy the singing of KTV. The rechargeable battery provides up to 5 hours. 1. The user-friendly operation panel makes it easy to operate, so it can be easily operated by both the elderly and children. 2. Intelligent decoding chip and tuning system avoid complex tuning. 3. Its sound spreads far, and the effective range of sound can reach 1000 meters. 4. The 12-inch cabinet is ideal for size and weight.